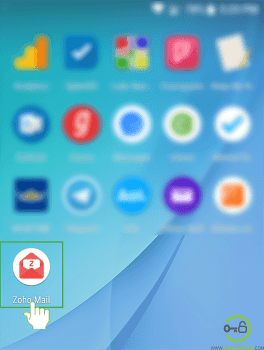 Log in to Zoho mail not only from web-browser but also from mobile application provided by Zoho Corporation. 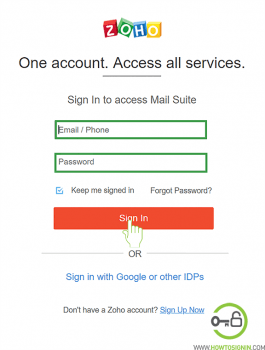 In this article, we will discuss the procedure to log in Zoho mail using web and mobile. Don’t have an account now? 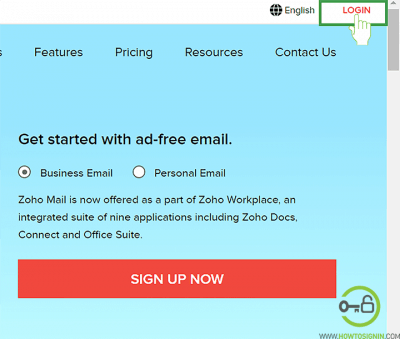 Create Zoho Mail now. So, let’s get started. Visit Zoho Mail homepage from any browser of your choice. Click Login option that lies towards the top right corner of the page just after the Support option. Enter the email id that you want to log in with. Alternatively, you can use the mobile number that you have provided and verified while signing up Zoho mail. Input the password associated with the mail you have just entered. Remember that the password is case sensitive, so check the caps lock is on or not before you enter the password. 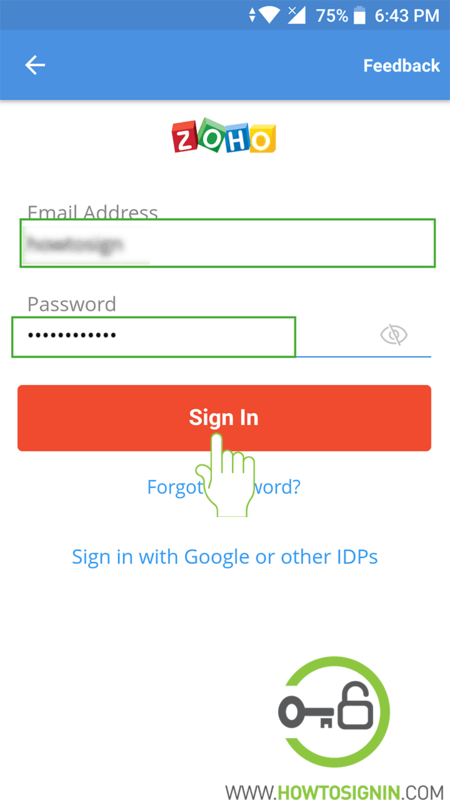 If you want your device to remember you so that you don’t have to enter the password every time while logging in to Zoho account, then click on the box before “Keep me Signed in” option. It is recommended to uncheck the option if you are using public devices or devices of another person. Now click on “Sign in” option. 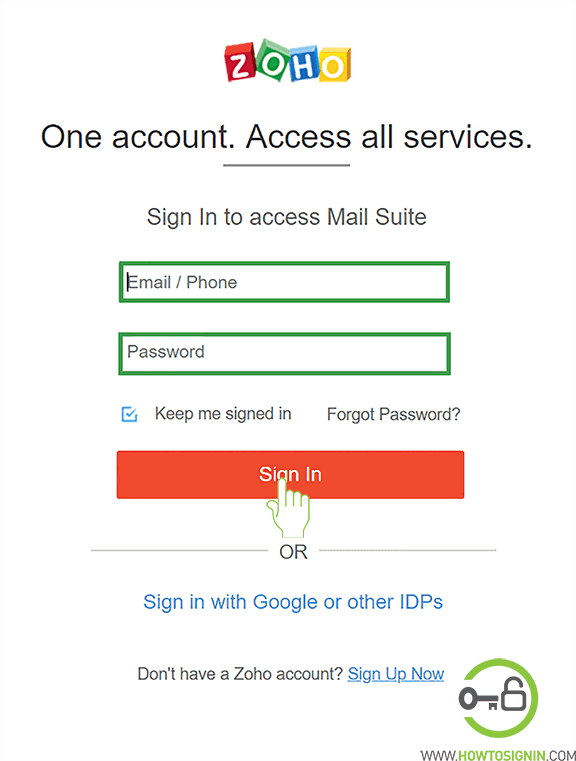 If this is your first time logging in to Zoho account, then you will be asked to set up Two factor Authentication. If you want to set that up then click on “Set up to protect now”, otherwise click on Remind me later” or else you can click “Skip Two Factor Authentication”. Now you will see the list of most widely used applications of Zoho. Click on the mail icon, and you can use Zoho mail to manage email. 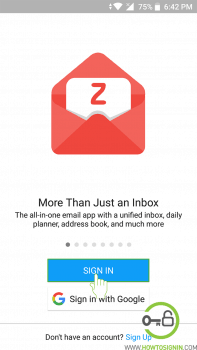 Go the menu of your smartphone and then tap the Zoho mail application. In the home screen tap on “Sign in” option. Enter the email id of the account that you want to sign in to. You cannot enter your mobile number instead of email id for the first time you log in with the mobile application. Insert the password of the account which you have entered. Check the caps lock before entering the password as they are case sensitive. Finally, tap on “Sign in” option, and you will be logged in to Zoho mail. 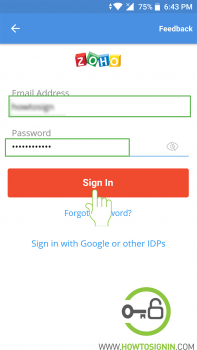 If you are using others’ devices to sign in Zoho mail to check your emails or for any other purpose, don’t forget to sign out after you are done. If you are using internet browser click on profile image icon at the top leftmost corner of the page and then click on Sign out option from the drop-down menu. And if you are using mobile application tap on the menu icon (three horizontal line arranged in a row) then tap on your account and after that tap on turn-off icon.